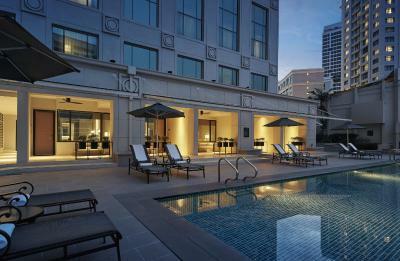 Lock in a great price for JW Marriott Hotel, Kuala Lumpur – rated 8.9 by recent guests! 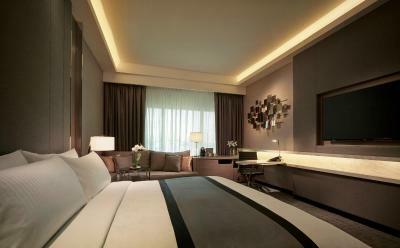 Good service, clean and spacious room, love the bed! 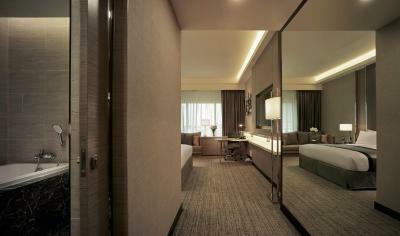 Quiet spacious room and the service were just the best especially for the bellman Hafiz. We were rush in the morning to the airport then we asked for luggage down. then hafiz asked us so you skip the breakfast? We just say yes bc we are rush to the airport. After we came down to the lobby while waiting for the grab hafiz disappeared and suddenly appeared and brought us the take away breakfast which we didn’t ask for so I was like omg such a hero 😂. Thank you so much for the service guys good job ! Keep it up !!! The stuff are friendly. Also, I do like the location simply perfect 👌🏾. Big thank you 🙏🏾. 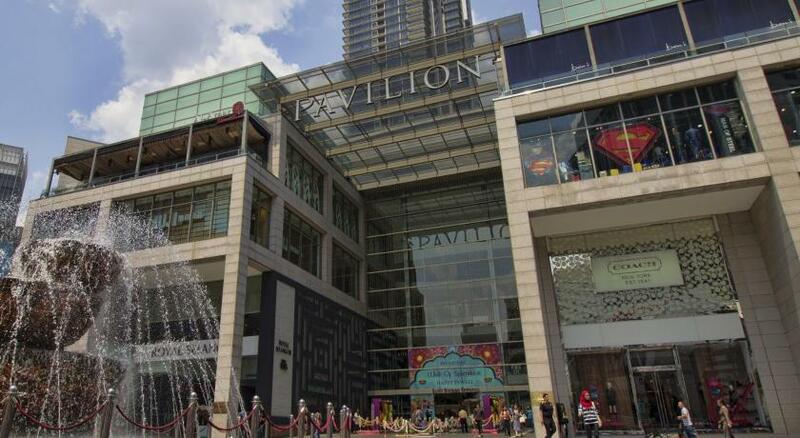 Location is one of the best spots you can find in the city. In the heart of everything. 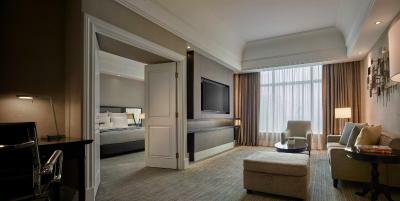 JW Marriott Hotel, Kuala Lumpur This rating is a reflection of how the property compares to the industry standard when it comes to price, facilities and services available. It's based on a self-evaluation by the property. Use this rating to help choose your stay! 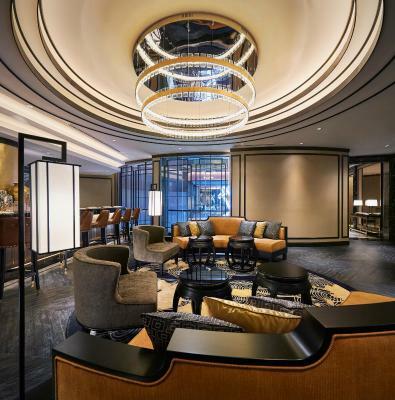 One of our top picks in Kuala Lumpur.Located along Bintang Walk in the Golden Triangle, JW Marriott Hotel, Kuala Lumpur offers accommodations within the hustle and bustle of Kuala Lumpur's city center. 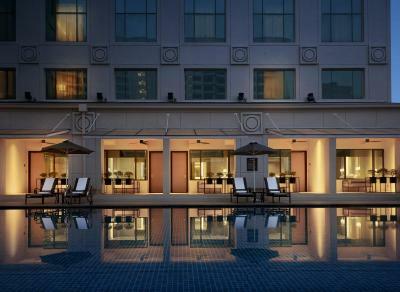 It features an outdoor pool and guests can enjoy meals at the in-house restaurant or have a drink at the bar. Free WiFi is available throughout the property. Union Pay is accepted here. 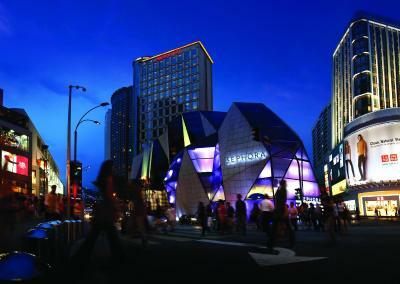 JW Marriott is directly connected to Starhill Gallery Mall, a 20-minute drive from Sunway Lagoon Theme Park. 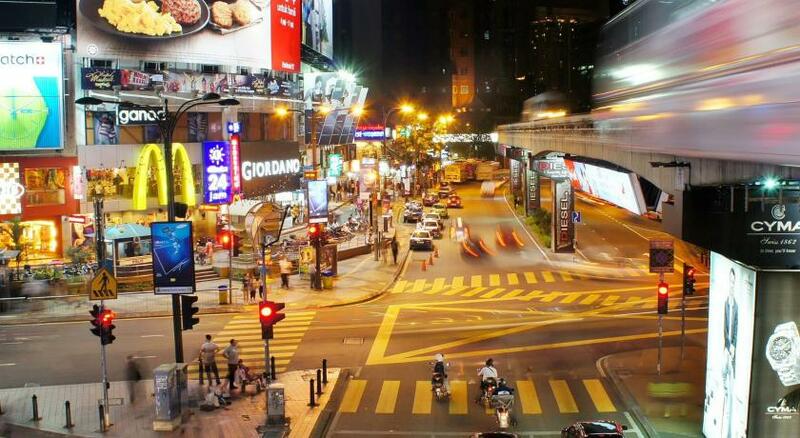 Kuala Lumpur International Airport is approximately 28 mi away. 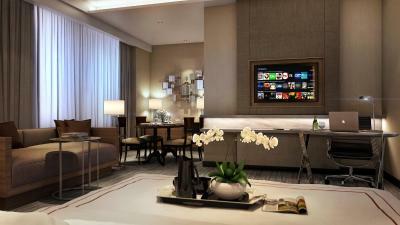 A flat-screen cable TV is provided in Hotel JW Marriott’s rooms. 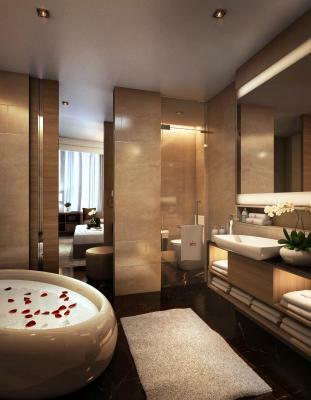 Private bathrooms feature large bathtubs and separate showers. Dental kit and toiletries are provided. 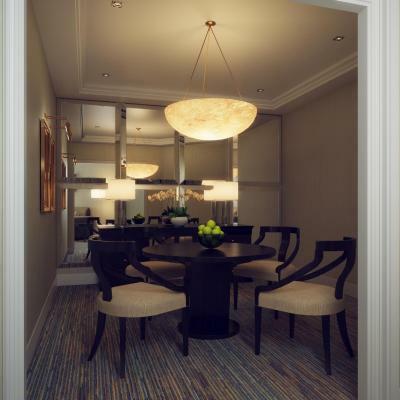 Select rooms have separate living and dining areas. 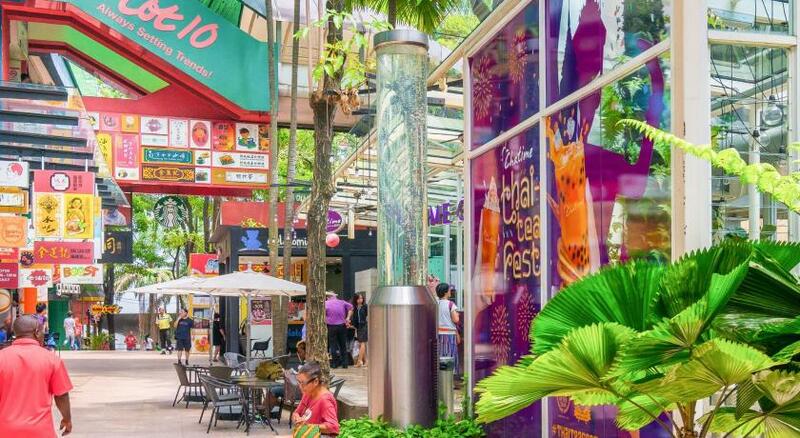 Coffee/tea/Chinese tea-making facilities are available. 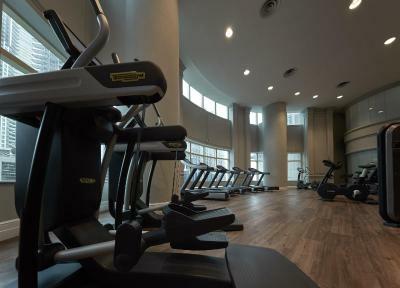 Other facilities at the property include a tennis court and a fitness center. 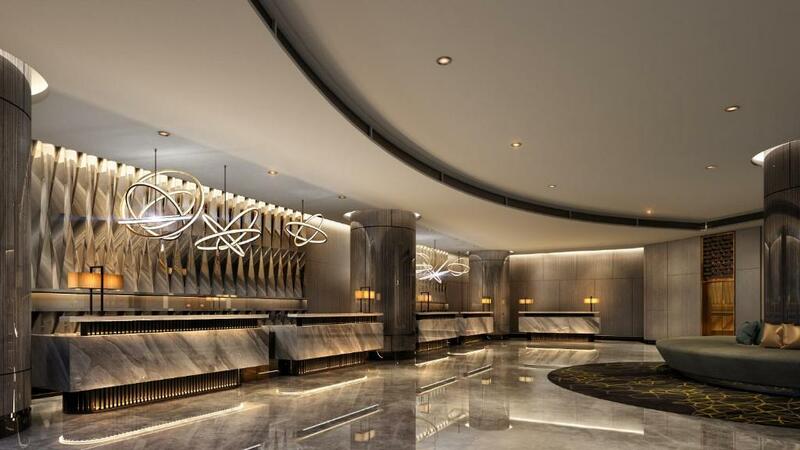 Guests can approach the 24-hour front desk for currency exchange and concierge services. A business center is available. 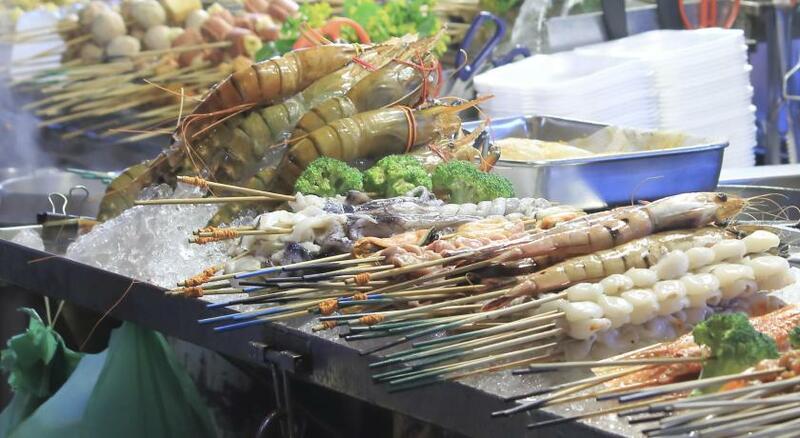 Feast is a themed village for an array of international cuisines, while Shanghai serve authentic Shanghainese dishes. 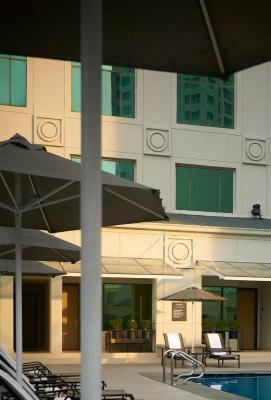 Spanish and Middle Eastern cuisine feature in Sentidos Tapas and Al-Halabi Lounge. Marriott’s 5 other dining options include dessert and coffee choices. 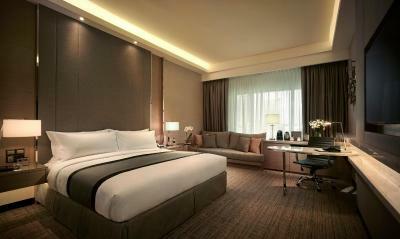 When would you like to stay at JW Marriott Hotel, Kuala Lumpur? 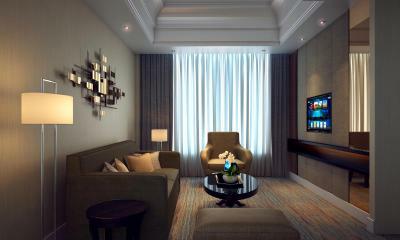 This air-conditioned room has a seating area fitted with a flat-screen satellite TV, sofa and a desk. The private bathroom includes shower facilities, a hairdryer and free toiletries. Public parking is available at a location nearby (reservation is not possible) and costs MYR 10 per day. Located from the 24th floor and above, this air-conditioned executive double room has a seating area fitted with a flat-screen satellite TV, sofa and a desk. The private bathroom includes shower facilities, a hairdryer and free toiletries. Guests enjoy access to the JW Club Lounge with benefits including complimentary cocktails. This spacious air-conditioned junior suite has a separate living room fitted with a flat-screen satellite TV, sofa and a desk. 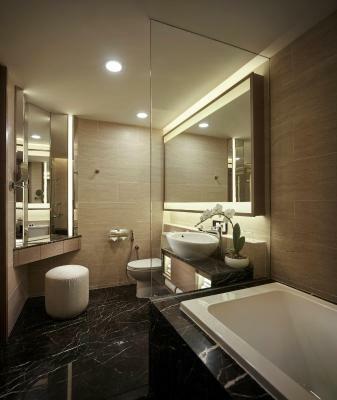 The private bathroom includes a separate bathtub, shower facilities, a hairdryer and free toiletries. Guests enjoy access to the JW Club Lounge with benefits including complimentary cocktails. 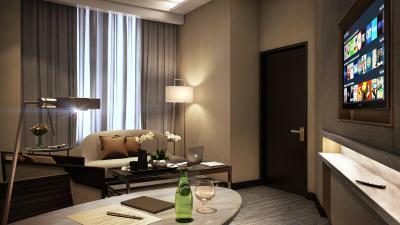 This air-conditioned studio suite has a separate living room fitted with a flat-screen satellite TV, sofa and a desk. It has a dining area. 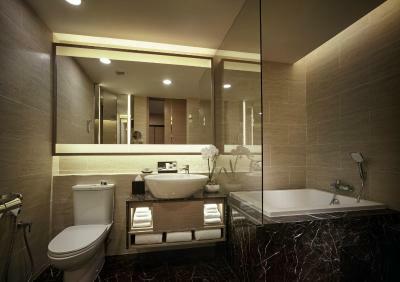 The private bathroom includes a separate bathtub, shower facilities, a hairdryer and free toiletries. Guests enjoy access to the JW Club Lounge with benefits including complimentary cocktails. 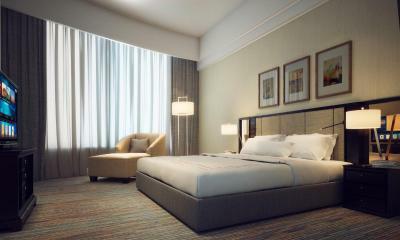 This spacious air-conditioned room features views and direct access to the swimming pool. It is fitted with a flat-screen satellite TV, sofa and a desk. The bathroom includes a separate bathtub, shower facilities, a hairdryer and free toiletries. Guests enjoy access to the JW Club Lounge with benefits including complimentary cocktails. 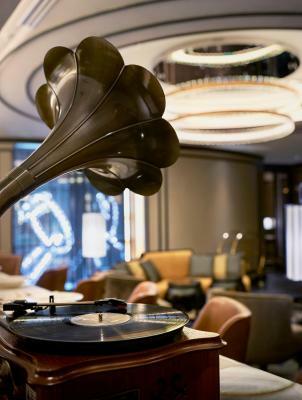 House Rules JW Marriott Hotel, Kuala Lumpur takes special requests – add in the next step! All children under 16 years are charged MYR 150 per night for extra beds. 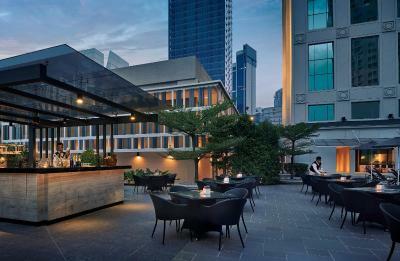 JW Marriott Hotel, Kuala Lumpur accepts these cards and reserves the right to temporarily hold an amount prior to arrival. Breakfast was very good and staff were nice. 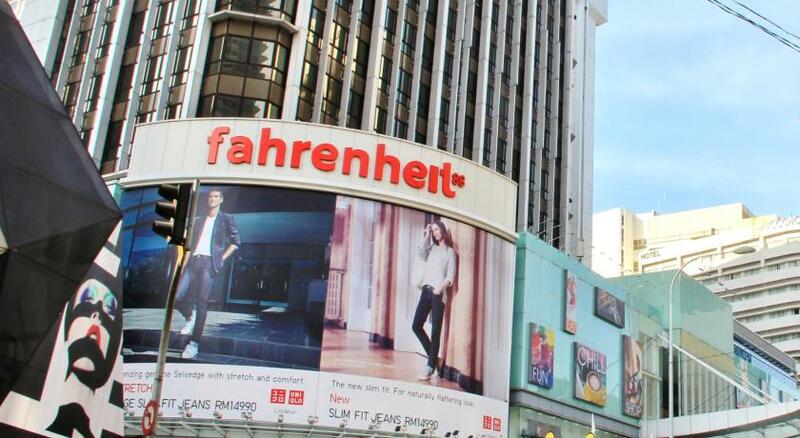 Would stay again at the same. Too formal, parking a long way from lobby. Lack of assistance with luggage. Clean room with good ammenity. The room itself is accessed to the pool straightaway. Very handy location and room is so comfortable. Staff are just amazingly helpful and friendly. 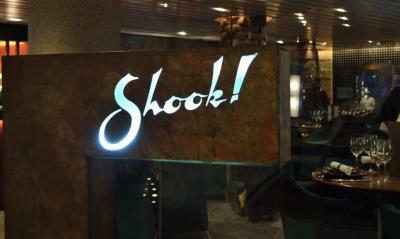 I’ve noticed lot of foreign workers in the hotel and they are amazingly professional and helpful. I’m highly recommended your hotel and I’ll come back with you again! Everything. Worth the money pay for. The employee didn’t explain the tax really clearly, confused for a day, after we call the other employee, then she finally explained EVERYTHING 😩 By the way, the elevator takes time. 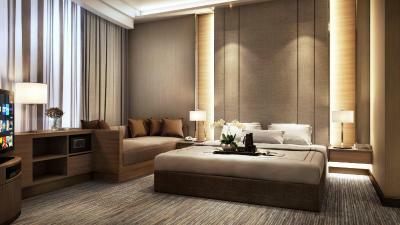 Nice bed, the room is clean and comfortable.